WordPress is an excellent way of keeping content together. It is based on php, a general purpose scripting language, with mysql, a structured database system. To use it you don’t need to know how to code, the main reason most people don’t start a website. WordPress uses taxonomy, grouping things together, to keep track of what is linked to what. These are your categories and tags, this post will show you the difference between categories and tags and how to use them. But before we get into the grouping an overview of the differences between posts and pages might not go amiss. Posts and Pages: What’s the difference? Going into the WordPress dashboard you can choose to create posts or pages, so which do you choose and why?. So let’s take pages to start with. These tend to be more static articles, say an About me, contact page, affiliate disclaimer or home page. Information that will not change until you want to change it. It doesn’t need visitor interaction. From the above list you may want to change the About me page to a post – dependant on whether you want people to leave comments. 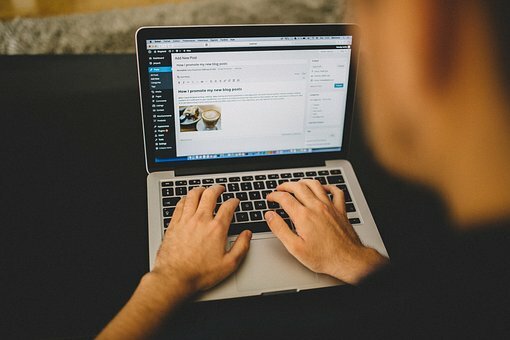 That is another thing that pages tend not to have, an area for comments, you can force wordpress to add the comments section, but as standard they are disabled on this type of article. Posts on the other hand are dynamic, interactive, wanting to change. Wanting to be shared and commented on, these are most blogs life blood. They are the articles you write to get visitors to do things, click on links, share, leave a comment or other action. Posts can be single testimonials, which can be grouped together under either a tag or a category to show all the relevant ones. Posts are little pieces of information on a topic which are then grouped with either tags ot categories, your visitors can explore your site through the use of tags, categories or links from one article to another. When you open a book you find a table of contents. 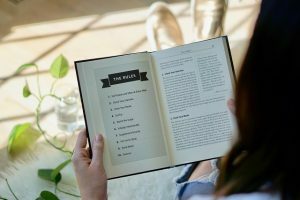 This will guide you to the parts of the book you want to look at. You can think of categories in the same way. It is very infrequent now for people reading on the web to start where you want them to start and read through multiple posts, they tend to jump in and read a bit and jump onto the next thing. With good navigation at the top of the page you may be able to keep people jumping around on your site. Using categories for the menu structure will allow you to write multiple posts for that topic without cluttering up the menu with their titles, but keeping posts together which are on the same topic. So when you start a website, sit down and think of the main topics you are going to be helping people with and make them the top level menu categories. Break these down into smaller chunks if necessary by using sub categories. The cooked can have full english breakfast, porridge, and any other cooked breakfast articles. The uncooked can have meusli, any of the cerials, and any other uncooked breakfast – like fruit. So hopefully you can see you can have a structure to your nemu so your visitors can easily navigate to the section they want to. The one main thing you want to do is to get rid of the uncategorised category – if you search the web there are millions of sites with all of their posts linked to the uncategorised default category. To me this shows a lack of knowledge in site structure. Choose another name for posts you cannot group into the main or sub categories, but make sure your visitors can get access to them – either by linking from other relevant posts or having them in a sidebar widget. Having your site organised by categories will help not only your visitors see what you are covering, but helps Google with navigating your site. You can improve your SEO score by having a neat and tidy site. It is easier for the visitors to find things as well as yourself. You can share multiple posts – or a category – easily when people are looking for information on a topic you are writing about. Let’s have a look at tags now. Tags have a slightly different use than categories. They are more the index to your site rather than the chapters as categories are. To use tags properly is a commitment, please note you don’t have to, but they may add to your SEO power. They will take time to set up and maintain, but there is a plugin to help you. Tags help the visitor easily navigate your site looking for common items. Say you have a cooking site with lots of recipes, they may land on a chicken dish but think ‘ that’s not quite right’. If you use tags and they are displayed, the visitor can click on chicken and all of the posts tagged with chicken will come up, allowing the visitor to browse and select another dish rather than clicking away from your site. You may need to put a tag list in a side bar with a title of ‘ not quite what you are looking for – click on the main ingredient to see more recipes’ This may help the visitor to click on a tag if they are looking for something else. Tags do help with SEO, used often enough on multiple pages they can get ranked, when visitors click on the link in Google then they will land on a page full of posts tagged with the keyword. Tags which are not used often may be worth deleting as they will tend to distract Google from the key ones. When you start using tags, all of them will be infrequent, but use the main ones and use them frequently on different posts and like your site, over time, their power will grow. What makes a good tag? Anything relevant to that post, one or two words – not just keywords- which are used frequently and have relevance over your site, not just this post. So in the example a lot of the ingredients of the recipe will have relevance over the whole site not just this post. As stated above you don’t need to use them and if you do it is worth scheduling some time to maintain them every month or so to get rid of ones which are not useful. So before you start on your site you can devise a structure for it. I find something like xmind useful – it is mindmapping software, it enables you to see visually what is going to be there. Starting with a central part – called your site – you can add notes to say what your site is about, what type of person you want to attract, what sort of site it is, ecommerce, blogging etc. So essentailly all of your notes about your site. You can then add the necessary pages, the about me, the contact me, the affiliate disclaimer. You then start to add topics ( categories), you can break these down into subcategories if you need to. You can add post sidea to each of these so you can easily see what articles will be written where. Notes can be added to each article to keep keywords, article headlines and ideas for the article together. Tags could be linked to each of the articles, showing up common tags to use for SEO. So your whole site can be designed and changed from this one diagram. When you go to write each article you have all of the information to hand. You can see the interaction of the categories and articles and tags at a glance. So using wordpress, you ideally need to sit down and plan out the overall structure of your site before you begin. As stated above, i use a program called xmind for this. It doesn’t mean that you cannot just jump in and start creating your site, but the planning bit does help focus your mind on how the site will look to your visitors when they land on your site. It also gives you the chance to see what areas are weak and possibly learn more about that area to pass on more information to your visitors. So you now know the difference between pages, static information, and posts, active sharing information. You have also found out why categories are so important in wordpress, using them as your navigation in menus. And tags being used as your index, linking common words together, allowing visitors to quickly find related information. You have also found that using these can improve your SEO and chances of more indexing and higher rankings. So one place i know you can use these techniques is with the training i have followed. This training covers everything from not knowing what a website is through to setting up your ppc (pay per click) campaigns, advanced methods of makig money from your website. The amazing thing about the site is the community, over 1 million people have joined and are helping each other every day. this way you don’t feel left on your own struggling to find information if things go wrong or you don’t understand the step by step video lessons. You are given two sites to setup when you first sign up fro free. sign up is free as well. and you can stay free for as long as you want to. When you decide that it is for you and commit to changing your future you can sign up for a premium membership, pay monthly or yearly – your choice – mine was to save money and go yearly. You get access to the full training all 130 modules ( 50 in certification and 70 in bootcamp), you also get access to replays of all of the weekly live training sessions created by Jay anf occasionally Kyle. If you are starting out looking at affiliate marketing, I would seriously advise looking into training like wealthy Affilitate program, to allow you to build your site in the company of others who are going through the same proces you are. So why not click on the link below to find out what it is all about and join over 1 million others on their online journey as you have found out the difference between categories and tags, as it’s free what have you got to lose?